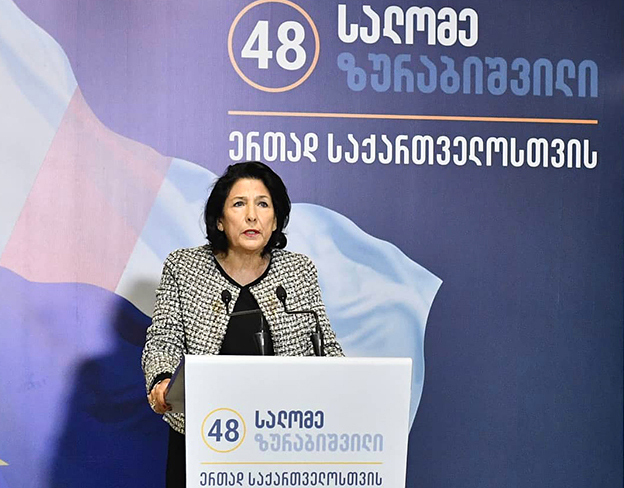 TBILISI, DFWatch–The results of both the ‘pro-government’ and the ‘pro-opposition’ exit polls suggest that Salome Zurabishvili, who is backed by the ruling party, has decisively won Georgia’s last direct presidential elections. However, the opposition is not eager to accept this, claiming that the election lacks legitimacy because of manipulation by the government. Although the Central Elections Commission has yet to be publish any official results, an exit polls commissioned by the pro-opposition TV company Rustavi 2 and carried out by Edison Research indicates Zurabishvili won by a margin of 10%. At the same time, the exit poll commissioned by the pro-government Imedi TV and conducted by Gallup International showed an even larger margin of 14%. 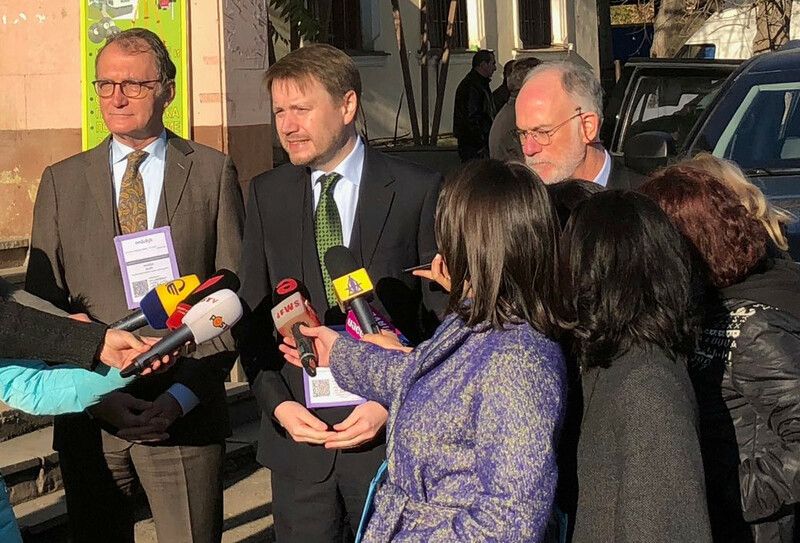 The opposition, however, questions the election’s legitimacy, citing instances of bribing and intimidation of voters allegedly involving ‘criminal-minded men’ on the side of the ruling party, Georgian Dream. “Such elections have not been held in Georgia yet. 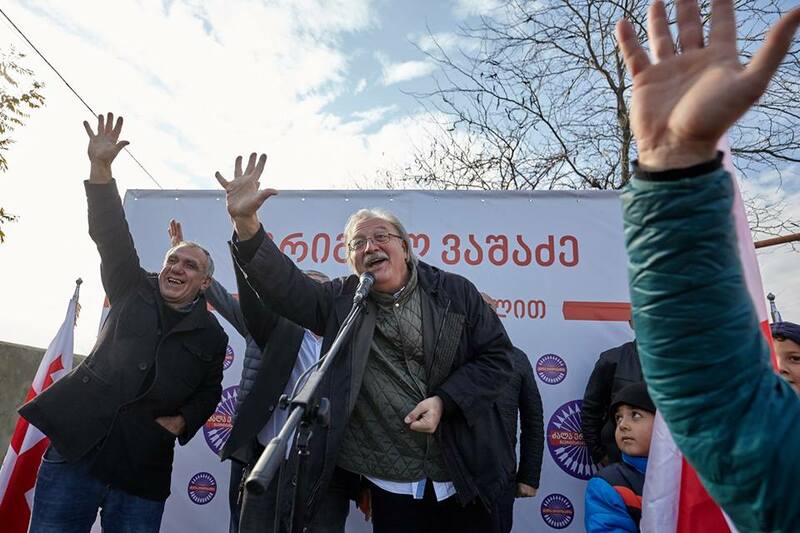 […] Everyone that could be mobilized was mobilized […] criminals, corrupt [people], drug addicts,” Grigol Vashadze of the United Opposition said. Former president Mikheil Saakashvili, who has not been in Georgia for nearly five years, went as far as calling on his supporters to start rallies, invoking the memories of the Rose Revolution in 2003. “This dirty oligarch has ripped apart the constitution over your heads,” Mikheil Saakashvili said in a live video address on his Facebook profile that was also broadcast by Rustavi 2 TV. “What happened this week was neither an election nor a democratic process. It was a merger of thieves, villains, members of mafia with the oligarch. Voters were bribed, money was distributed at the polling stations, activists were beaten and wounded. Today there were shootings during the election process. This is everything that is not democracy,” Saakashvili said, referring to the alleged involvement of ‘thieves-in-law’; a form of organized crime that developed during the Soviet Union and involves a strict code of honor. “I urge people [to launch] open protest rallies to demand snap parliamentary elections. I call on the army and police to stand on the side of people and not obey illegal orders,” he said. 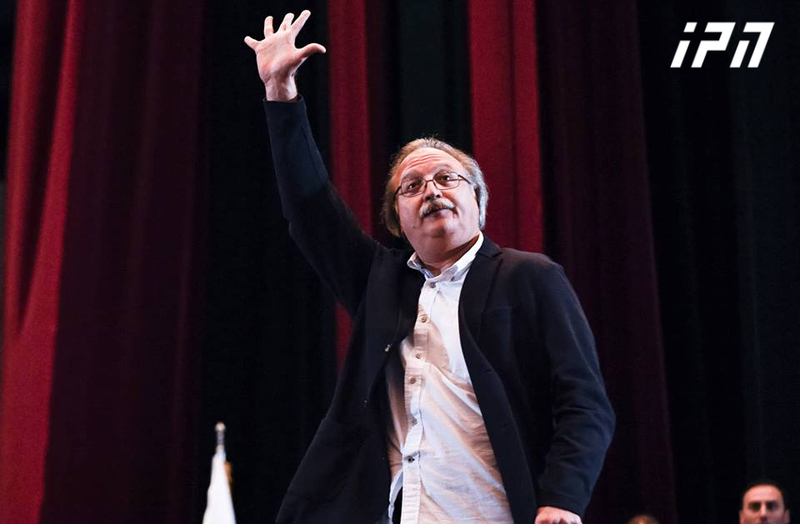 Opposition presidential candidate Grigol Vashadze sought to downplay the appeal by UNM’s main figurehead about staging mass protests: “What has not been endorsed by a collective decision […] remains merely a personal opinion of one person,” he said. On the other hand, former MP and Georgia’s informal strongman Bidzina Ivanishvili seemed content with the results. Immediately after airing first exit-polls he came to journalists and expressed his gratitude to voters. 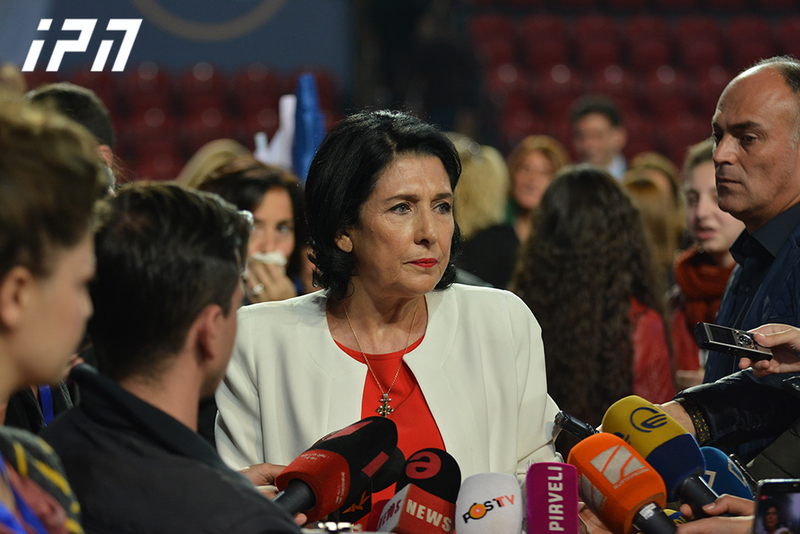 Salome Zurabishvili later also launched a briefing and thanked the voters. NGOs and international observers were actively involved in monitoring the polls. They registered number of instances of misdoing at the polling stations. They have yet to issue their final judgment and it’s not yet known whether these accidents were enough to regard elections as lacking legitimacy.